Looking back, Canis -my first short film- was just this one little project with no other pretence beyond acquiring some hands-on experience. Six years, seven hundred thousand plays and one award later, it still seems so goofy and charming. Pity about those extremely obscure Kubrick references that only a couple of people spotted! The third installment in the trilogy that started back in 2009 with the mildly groundbreaking high school reality TV comedy Canis and went on with the found footage social media horror spectacular also known as Emos, is finally out! If you have the time, please check these teaser and promos out before watching the whole thing. 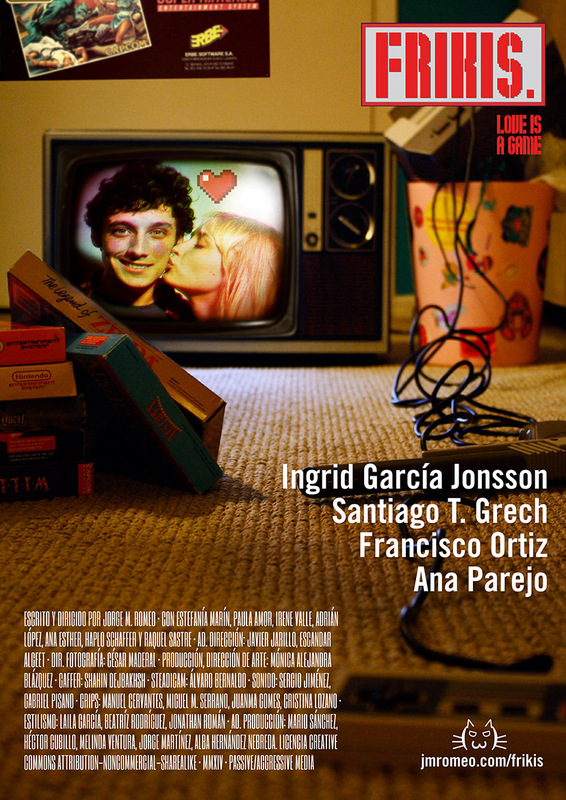 Starring Ingrid García Jonsson, Santiago T. Grech, Francisco Ortiz, Ana Parejo and Raquel Sastre. And remember: love is a game.